Chobani has extended its Olympic sponsorship through 2020. The Greek yogurt brand will act as the official yogurt sponsor supporting the USA team for the 2016 Olympic Games in Rio de Janeiro, Brazil, as well as those in Pyeongchang, South Korea in 2018 and in Tokyo, Japan in 2020. The New York-based brand initially joined forces with the United States Olympic Committee in 2012. In 2014, its packaging featured Olympic branding elements. Chobani also extended its sports marketing presence by debuting its first Super Bowl ad this year. In a statement, USOC chief marketing officer Lisa Baird said: "Through its ongoing commitment to creating healthy products and promoting healthy lifestyle choices, Chobani has been an integral partner in our mission to support the competitive aspirations of current and future Team USA athletes, many of whom include Chobani in their diets and training regimens." Athletes at Olympic training centers will have access to an array of Chobani products, including single-serve yogurt cups, multi-serve containers and Chobani Greek Yogurt Oats. Team USA's nutrition specialists will integrate the products into the athletes' daily meal plans. 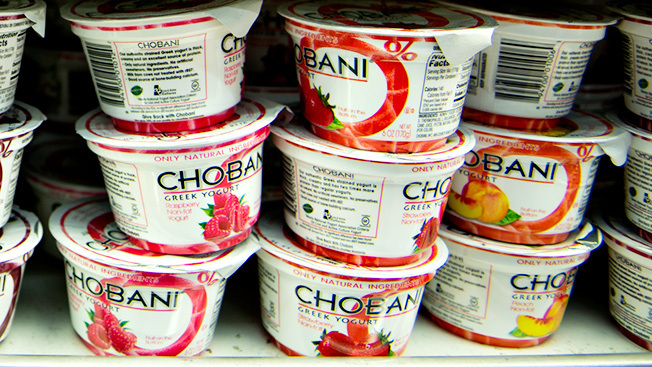 The announcement follows Chobani's widely-publicized dispute during the 2014 Winter Olympics in Sochi, when the Russian government refused delivery of a large yogurt shipment to U.S. athletes due to missing customs certifications.